Do Cats Have Baby Teeth? Thank you for your question! Cats develop their first set of teeth when they’re around four weeks old. These teeth are relatively fragile, being smaller and less dense than adult teeth. They help to promote weaning since they irritate the mother during feeding. Then, around four to seven months of age, kittens begin losing their baby teeth as their adult teeth develop. The roots are often absorbed while the crowns fall out , but they can be so small that humans don’t even see them. It sounds like Boba and Lando are right on schedule. There isn't much you need to do. If you notice either of them rubbing their faces with a paw, you may want to put some crushed ice in a washcloth for them to chew on. It'll be a bit messy, but the cold will soothe their gums if they're bothering them. You should also make sure you're feeding them a pate-style wet food. All cats should be on wet-food diets, but it's especially important during teething. If they feel pain when they eat, they may connect the pain with the food and avoid eating altogether. This is also a good time to get the kittens used to having their teeth brushed. A small, soft-bristle brush designed for cats along with a high-quality toothpaste or gel will help them to get many years of use out of their new adult teeth. 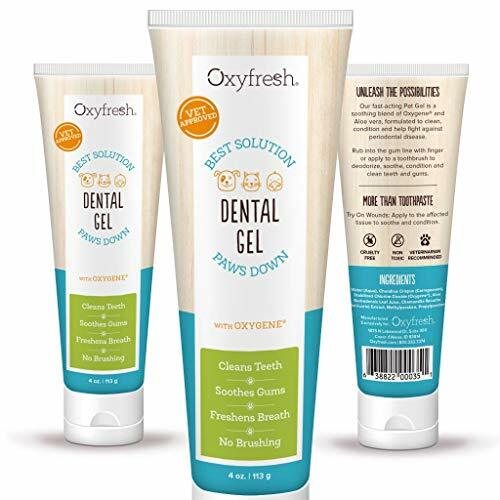 We especially like Oxy-Fresh gel. Check with your vet for their recommendations. Help, I Found Some Abandoned Kittens! Margaret, it's important that you confirm whether or not the kittens' mother is still around before you relocate her litter. You can interact with them (your scent will not cause the mother to reject them) and even tend to them but don't move them if you suspect the mother is still around. Some rescuers will put the kittens into a box that they can't get out of and then scatter flour around the box. If you leave the box for a few hours and come back to find paw prints in the flour, the mother is probably still tending to her babies. Also note the cleanliness of the kittens. Mother cats take care of cleaning their kittens, so the longer they're away, the dirtier the kittens will be. If you discover that the mother is still around, your best bet is to try and help her to provide for her little ones. You can make an inexpensive shelter like this one and provide food and water without interfering with the family. Once the kittens have been weaned at 4-6 weeks of age, they can be socialized and adopted. Of course, the sooner the socialization takes place, the better. If the mother is friendly, it may be possible to relocate the family and socialize the kittens even earlier. If you determine that the kittens have indeed been abandoned, it's time to take action. The first thing the babies will need is warmth. A plastic bottle filled with warm water and wrapped in a towel will do in a pinch. Newborn kittens need constant care. Most shelters won't take them because they simply don't have the resources needed to turn them into adoptable cats. Even if they do take them in, the kittens will probably be euthanized. If you have the time and resources, please, by all means, do what you can to save the kittens' lives. If not, you'll need to try and locate a local rescue that does and get them there as soon as possible. If you decide to care for them yourself, there are plenty of good online resources. Caring for newborn kittens is quite an undertaking, so we usually refer people to the best resource we know: THE KITTEN LADY. She's been rescuing kittens for years and has kindly provided a wealth of information about all aspects of newborn care on her wonderful web site. All the information you might need is there for the taking, including links to product sources and very specific instructions on kitten care. Last but not least, please see to it that the kittens and their mother are all spayed or neutered, even if you choose to allow them to remain feral. This includes following up with adopters if the kittens are adopted out before they're old enough to have surgery. We certainly thank you for being concerned about these little lives, Margaret. We wish you and the kittens all the best! Do Kittens Need Kitten Food? Jim, we feel very strongly that a kitten will be healthy if fed a high-quality, low carbohydrate, all wet adult cat diet immediately after they've been weaned. There's nothing really wrong with kitten food but it's more a marketing ploy than an actual need. It's understandable that so many people now feel strongly that a kitten should be fed a special food. After all, that's what we do with our own babies, right? But weaned kittens aren't infants. Weaning generally happens around four to six weeks of age and the average cat reaches puberty in four to six months. In the wild, a cat would begin eating the same prey as their parents right after being weaned. The trick is to make sure you're feeding a complete diet and have food available at all times. While there is a lot of debate on this topic, we feel that it's imperative that a growing cat gets the food that he or she needs throughout the day, and not just at human-designated meal times. While this can certainly be more difficult in a household with multiple cats with different dietary needs or in homes with dogs who enjoy cat food, it can be managed. An all-raw or freeze-dried raw diet is highly recommended for all cats and kittens. We have a good post on our specific food recommendations, including links to several sources of real info (not marketing) about commercial cat foods here: http://kittyhelpdesk.com/hel.../best-cat-food-and-food-bowls . We wish you and your kitten friend all the best!